The world has gone wrong in promoting CD quality sound (16 bit, 44 or 48kHz) for all electronic telecommunications. High resolution audio (24 bit, 96kHz) is easily within reach of today's computers and electronic devices, both in terms of memory and bandwidth requirements, and the sacrifice we make for ignoring this opportunity is enormous. This barbarous situation, where a very crude quality of sound has come to be accepted as adequate for all voice telecommunications has emerged through a fundamental misconception about how human communication works: how we speak, how we listen, and how ideally the speaker gets intimately fastened in the heart of the listener. Now there is a new Sun rising in the field of digital communications. PCM, pulse-code modulation, is based on a process of sampling: Each sample records one particular level of volume, and if enough samples are taken, then the wave nature of the component frequencies of sound will be recorded in digital form, and will be capable of playing back, and reproducing the original sound. There are two parameters in this process: first, and most important, is the number of samples taken per second. This determines with what fullness and precision the ambient sound is recorded; the second parameter is the bit rate, that means, the number of discrete boxes which measure the amplitude of sound at a particular moment. If, for example (in a base 10 system) we allowed only one digit for measuring the volume, then the volume would be measured as a particular value between 0 and 9. Fine distinctions between say, 1.6, 1.8 and 1.9 would not be made, and all the decimals would be rounded off. 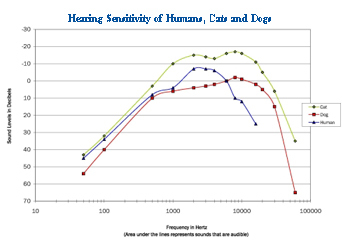 The logic for insisting that 44.1kHz is completely adequate for recording sound is that human hearing has a limited range, and particularly in the adult years, hearing is limited to roughly 20kHz. If we have a 20kHz signal, then 40 thousand samples per second should be enough to measure the peak and the trough of every one of the 20 thousand waves, and thus that very high pitched sound should be captured in digital form. This logic seems perfectly sound, and if we test hearing acuity, we will find that people's ability to hear high pitched signals is not impacted by whether the source is analog, as from a tape or record, or digital sound, from a CD. Thus, as far as hearing acuity is concerned, the digital sound, sampled at 44.1 kHz with 16 bit depth is fully capable of representing the original analog sound, from 20 to 20,000 Hz. In the following, we will show that speech is not merely a signal which contains information encoded in language, but that speech is a medium which tracks the creative process in Nature, the process by which the infinite organizing power of Natural Law expresses itself in the vast diversity of the galactic universe. Speech is tinged with feeling, feeling that contains the knowledge of the mechanics of creation of the impulse of speech. It is the spontaneous perception and appreciation of these subtle mechanics of the creative process by the listener which connects the speaker and the listener, enabling the words of the speaker to sit in the heart of the listener. CD quality sound is not subtle enough to reproduce the audial cues of the faint level of feeling in the words of the speaker and so the sound remains objective and does not get lodged in the heart of the listener: The power and effectiveness of communication is compromised in this way. Speech certainly carries a message from point a to point b. So the picture of vibrating air molecules is not invalid. But there is a deeper more comprehensive role of speech, which is well known in our traditions: In the Gospel of John, it says, "In the beginning was the Word, and the Word was with God, and the Word was God: He was in the beginning with God. All things were made through Him, and without Him was not anything made that was made." The speech which is man-made partakes in its flow and in its structure of that infinite silence and dynamism which is eternally expressing itself in this vast galactic universe. There is something in speech of a universal, cosmic character, something more than the vibration of air molecules, a movement or flow of a deeper broader field, what Maharishi called the Being, the pure field of Self-referral Unified Wholeness. Here we have left behind our limited bound view of speech in terms of the resonating of air molecules in the voice box; but we have not left behind science. Maharishi Vedic Science gives us a dramatically different paradigm of communication. It says that speech is a vibration of the Akasha, a vibration of space itself. In Maharishi Vedic Science, Akasha is one of the five primordial elements, roughly translated as space, air, fire, water and earth. The five elements referred to in Maharishi Vedic Science, are actually not simply a primitive attempt to classify phenomenal creation, something bound to be superseded by practical investigations into the nature of reality: Dr. John Hagelin has shown that the five elements actually correspond to the five spin types (0, ½, 1, 1½,and 2) identified by quantum field theory. 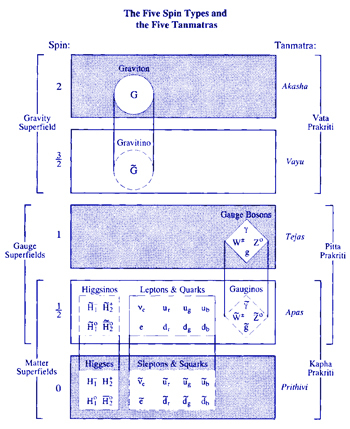 In this view, Akasha, or space corresponds to the spin 2 spin-type, and thus represents the gravitational field. The gravitational field is the field through which gravity acts, and is an all-pervading, long-range field which connects everything in creation. Sound, and especially speech, are fundamentally to be understood as vibrations of the gravitational field, vibrations which stir the unified field pervading all creation. The picture that begins to emerge is that sound embodies that organizing power of intelligence that creates: There is a power inherent in the vibration of sound that is creative. The flow of the intelligence of nature takes a direction, and impulses of sound and silence stir the Unified Field, giving rise to the expression of creative intelligence in manifest creation. The most remarkable connection between the creativity of Natural Law, and the vibrations of sound in speech has been discovered by His Majesty Raja Nader Ram: He found that the sounds of the entire Vedic Literature were the structuring dynamics responsible for the creation of human physiology, and he was able to make comprehensive one-to-one correlations between the structure and function of the different branches of Vedic Literature, and the various fibres and components of the human nervous system and anatomy. Here in the discovery of Veda and Vedic Literature in human physiology is the recognition of a sequence of sounds which create the human physiology, and correspondingly create the whole universe: This is the full recovery of the power of speech, the power of the Word referred to in the Gospel of John, the true creative power in Nature: "All things were made through Him, and without Him was not anything made that was made." The discovery of Raja Nader Raam reveals that the human nervous system is made of Natural Law, made of the principles of organizing power of Nature that are expressed in the various disciplines of Vedic Literature. The infinitive creative power of Nature is present in the structure of the human nervous system: When the human nervous system thinks, acts and speaks, total natural law is made functional. In the process of thinking, speaking and acting, the human nervous system puts sequentially in motion, in principle, all the laws of nature, all the various mechanics of evolution and creation which have given rise to the whole universe. A deep analysis of "The Discovery" of Raja Nader Raam, unfolds a new paradigm of how thought rises and expresses itself in speech in the normally functioning human nervous system. [A vision of the breadth and depth of "The Discovery" will be necessary for understanding the direction of our argument: We are basing our analysis on the understanding of the thought processes from the standpoint of Vedic Science, as unfolded in terms of the physiology in "Discovery of Veda and Vedic Literature in Human Physiology." A graphic summary of the role of each branch of Vedic Literature in the human physiology is linked to the name of each branch in the diagram. There are more detailed examinations of the correlations for Shiksha (Vedic Pronunciation) and Kalpa (transformation) the first two of the six branches of the Vedanga, and there is a chapter devoted to each of the six Vedanga, comprising the various aspects of the autonomic nervous system, crucial for our understanding here, found in chapters 3-8 of the dissertation posted on this website.] 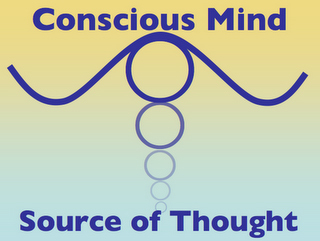 This knowledge of the intimate connection, even identity between matter and consciousness, between physiology and the intelligence at its basis, is the driving force of the awakening to a new Sun, a new Sun of knowledge of the fundamentals of consciousness and physiology, a new Sun illuminating the essential components of effective communication. These very profound insights of Raja Nader Raam will elucidate our theme of communication through speech. Speech, according to Maharishi Vedic Science, has its source and origin in the sound, "A", the first letter of almost all the alphabets of the world, and the first sound of the Rik Veda. 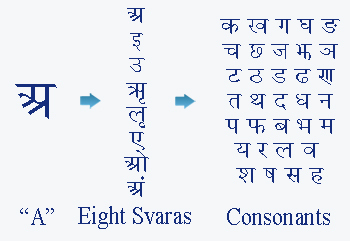 From the transformations of "A", the different vowels, fundamentally 8 "Svaras", are formed, and from the vowels, through further transformations, all the consonants are formed. The nature of the transformation by which "A" gets transformed into all the different vowels, and is again further transformed into all the consonants, is detailed in one branch of Vedic Literature which is devoted to the knowledge of transformation, Kalpa. Kalpa explores all possible values of transformation, explaining the rules of how one value is transformed into another value, and ultimately, how pure unmanifest consciousness is transformed into matter, how empty space, vacuum, gives rise to manifestation. The deep mechanics of the creative power of Natural Law are explored in depth in Kalpa, so we see in Kalpa there is the comprehensive knowledge of the creative power of speech, the creative power of the Word. The objective knowledge of the organizing power of Natural Law in creation, is described in the 54 books of Kalpa, but more interesting is the location of this fundamental knowledge of the creativity of Natural Law in the human physiology: Kalpa corresponds one-to-one with the various structures and organs which comprise the limbic system. 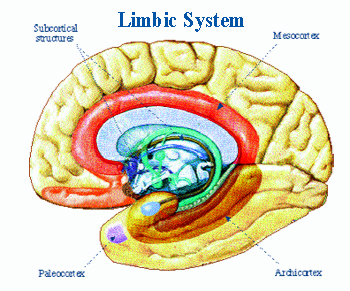 The limbic system is a bridge between the deep structures of the spinal cord and brain stem which maintain the existence of the physiology, the stability, the is-ness, the pure life of the individual, and the cortex which integrates perception, motor functions, speech, conceptual thinking ability, the conscious brain: In between the inner existence, and the outer phase of thinking and action and behavior in the world, there are a host of very delicate organs which collectively mediate between inner silence and outer activity, and these are understood from the viewpoint of neuroscience as the limbic system. From the viewpoint of human experience, these organs and neural structures are responsible for human feelings and emotions. As a thought rises from its origin in a field of abstract possibility, it begins as a very faint feeling: Like a bubble rising from the bottom of a lake, in its infant states, when it first arises, the thought is a faint feeling, and there as the thought rises the intelligence of these deep structures of the brain are contributing to the formation and direction of the thought. Emotion is there in every thought, and correspondingly, the intelligence of transformation, Kalpa, is there in every thought. All the knowledge of how to transform anything into anything, and how to create any effect anywhere in creation is there within the machinery of the thinking process, in the very faint level of feeling which is the first inception of the impulse of thought. In the feeling that structures a thought is the organizing power of the thought, the organizing power of the infinite creativity of Natural Law which expresses itself in the specific channels of the individual life in human speech. The individual thinks, speaks, and acts, fulfills his desires, and transforms his environment in according with his desires. Thus his inner intelligence, the intelligence of the infinite organizing power of Natural Law at the basis of his individual existence, takes a direction and expresses itself in speech, starting from the faintest level of feeling. Speech itself is objective, it is shared, it is held in common. And it can be recorded and preserved, and played back again and again. And in that way many can be persuaded to join together with common purpose and to act in harmony: And so society with all its complexity is built up on the basis of speech. When we hear a spoken word, the process of metabolism of that sound is complex, involving many layers of analysis and interpretation. The most basic of these processes is a process of inner hearing, where we interpret the raw material of vibrations in our ears into words having specific import. This is a process of empathy, where we use the very same channels of brain functioning that are employed in our own creation of speech: We relive the thought, and in the process we own it, we make it our own, and in that way, the intention of the speaker enters into us and sits on our consciousness. By this process we become intimately aware of the feeling that has generated the thought, and this direct perception of the feeling of the speech is absolutely fundamental to the process of communication. It will be worthwhile to look into this process of empathy in greater detail. In lectures on the principles of ideal communication (Rhoda Orme-Johnson, ed., The Flow of Consciousness: Maharishi Mahesh Yogi on Literature and Language, 1971 to 1976, Maharishi University of Management Press: Fairfield, 2010) Maharishi Mahesh Yogi has described the fundamental principle of communication like this: How much the speech nourishes the speaker, on that depends the impact of the speech on the other side. From his side, the speaker has the ability to say all kinds of things, things which are smart or dumb, clear or vague, useful or non-useful. And he himself, while he is speaking will appreciate the value of what he is saying, and feel nourished by it if it is useful to him, or feel as if in a desert, if it in truth has no value for him. That feeling of being nourished, (or the opposite) will be present in the thought that is expressed in speech, and that feeling will be spontaneously appreciated by the listener: The listener will feel that if the speech is very nourishing for the speaker, then very likely it will be very nourishing for me also, so I should attend to it, follow it. Whenever we hear someone speak, we spontaneously evaluate and take to heart that degree of nourishment which the speaker himself is feeling when he speaks. A boring speaker is someone who is detached from his speech, not enjoying himself speaking; an exciting speaker is one who is thrilled by what he is saying, and enjoys saying it, is nourished, enriched by the process of speaking. Effective communication, Maharishi is saying, hangs on this peg, depends on the nourishment, enrichment and joy that the speaker feels in saying what he is saying. When we are in the process of evaluating the feeling of the words of a speaker, the nuts and bolts of the evaluation are there in the sound that we are hearing. And what we can hear? We hear how vowels are transformed into consonants, and how consonants are transformed back into vowels, we hear the flow of speech. This requires a very deep and spontaneous analysis of the sound: How one sound is transformed and merging into the next sound, these very fine mechanics of transformation are tinged with the fine feeling which gave rise to them: How tense the vocal cords are held, how quick the breath is coming, all the details of the fine mechanics of articulation of speech are available for analysis in the wave form which reaches the ears. We hear words, and we certainly act on words, but we are also evaluating the qualities of the consciousness which gave rise to those words, the detailed mechanics of evolution of thought and its manifestation in speech: And the evidence for these are subtle qualities in the transformation of one sound into the next, subtle qualities in the wave form of the individual letters of articulated speech. The nourishment which the speaker himself feels from the speech he is creating, the inner bliss or sense of fulfillment which he feels at having found this precious opportunity to give expression to something very dear to his heart, is cached, not in the frequencies of speech, not in the rough starts and stops of individual letters, but in subtle values of transformation between the sounds. These subtle values of transformation tell the listener about the mechanics of creation of the thought, they reveal and unfold the organizing power which is at the basis of the expression in speech of the thought of the speaker. The hidden content of the inner feeling of the speaker is there in the speech, and is spontaneously picked up, either consciously or unconsciously by the listener. It is picked up by the listener, because he has these very same brain structures, and the process of empathy by which he hears the speech in his inner voice, enlivens all these same brain structures, and reproduces that very same feeling in his own consciousness. This is how the nourishment which the speaker himself feels from speaking determines the effectiveness of communication, determines how profoundly the listener will understand and take to heart the words that are spoken. These subtle values of transformation, by which the constitutive feeling of the speaker is encoded in the words that he speaks, are completely lost if the natural shape of the wave form has been distorted by the process of Pulse Code Modulation. The principle of PCM, that any sound can be encoded as a series of discrete pulses with measured amplitudes, means that any sound, any speech will be represented by discrete square pulses rather than by smooth waves. The square shaped waves of PCM audio accurately convey the pitch, and the articulation of the sound, but the subtler information about the mechanics of creation of the sound, the deeper knowledge of the transformation of one sound into the next, the mechanics of expression which articulate the inner feeling of the speaker and his joy and exhilaration in speaking, they are cut off. The absence of these subtle cues, cues which tell the listener how much the speaker himself is enjoying his speech, cues which alert the hearer to the nourishing, enriching value, the fulfillment which is lively in the words--the absence of these subtle cues makes the listener feel that the words are without feeling, without depth, cut off, objective, having no connection with the richness of personality of the speaker. This explains why PCM sound is experienced as flat, empty, devoid of feeling. 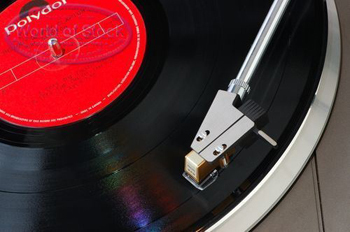 One could retreat from modern technology, and insist on using only analog sound, such as in vinyl LPs, or the audio and videotape technology of previous decades. But one could also move forward, and increase the sampling rate until the pulses of PCM are so tightly packed together that the subtle tinge of feeling in the original wave-form is reproduced, made tangible once again. Higher sampling rates, and higher bit rates dramatically increase the amount of bandwidth required for transmission of sound, and the amount of memory required for storage of sound, but it is found that with 96kHz sampling rate and 24 bit bit-depth, the perception of the richness of feeling in the spoken word returns. 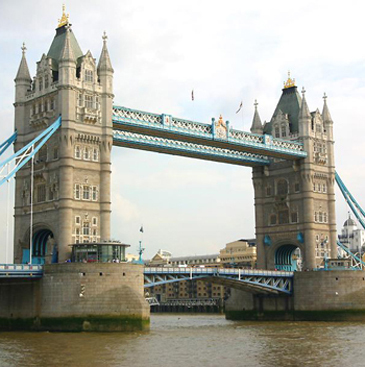 24/96 sound requires about as much bandwidth and storage space as standard definition video, so it is well within range of modern networks and storage devices. We recommend that every human being on earth should always hear music as well as the spoken human voice recorded and played back at this full resolution, 24 bit-depth and 96kHz sampling rate. The world has gone wrong in accepting telecommuncations based on very low sampling rates, and it has gone wrong in accepting and promoting music with only CD-quality sound. And now the movement of music enjoyment to a new "Cloud" model will mean that the whole society is left with low-band width music, music without its heart, bereft of its soul even, because it doesn't have the ability to resonate with the deep seated limbic structures in the brain which enable true empathy between the speaker and the listener. By depending on telecommunications with substandard sampling rates, we sacrifice the kind of heart-to-heart communication which was commonplace in the 20th century. Communication is at risk: The ability of the speaker to have his message deeply fastened in the heart of the listener is being lost. The richness of the human experience of life in society is becoming a shadow of its former self. Now there is a new Sun rising, and there is a growing awareness of the importance of consciousness in communication. The prognosis is somewhat bleak in the near term, particularly in the area of telecommunications. The field of telecommunications, telephone, skype, video conferencing, and so forth has been completely overrun by low sampling rate digitizing schemes: there do not seem to be any options yet for someone who wants to communicate with 24/96 quality sound. Nevertheless, there are viable options in the field of digital recording, and it is now completely possible to surround oneself with "natural" sound, sound which resonates in a natural way with the inner feeling of the listener, sound recorded at 24bit/96kHz. As an archivist myself, responsible for preserving for future generations the analog audio and video recordings of the 20 century, I have been searching for means to preserve the full richness of the original audio. There are affordable digitizers on the market, such as those made by Edirol [link]. So the goal is easily within grasp. For preserving audiotapes, one can record standard DVDs with a narrow bandwidth slide show, (with still pictures of the speaker, for example) using 24/96 sound, (already accepted as part of the DVD-video standard [link]) and this will play readily on any DVD player. Such DVD's can be burned using Final Cut Pro and DVD Studio Pro on an iMac. This is an excellent and simple option for preserving the richness of audiotapes. For preserving videotapes, the DVD format cannot handle the needed bandwidth, so for full-motion standard definition video with high definition 24/96 audio, one needs to go to Blu-ray. Burning Blu-ray with high definition audio can be done with Vegas Pro on the PC and with Roxio Toast Platinum Pro (10 or 11) on the Mac. Description of the procedure for creating a Blu-ray disc with high definition 24/96 audio will be posted here. A new Sun is rising. Listening to high definition audio, either from natural sources like video and audio tapes, or from tapes that are preserved with 24/96 sampling rates may be a new experience, a unique experience for many of the new generation today, but it is always a fulfilling and enriching experience, because every nervous system has a limbic system, and thus everyone has the inborn facility of appreciation of the deeper levels of feeling that are intrinsic in natural speech. I wish the whole world could come back to this joy, and that everyone will soon insist on rich high definition sound in all recorded music and recorded lectures, and in all radio and television shows and especially in personal telecommunications. This will culture the heart of everyone, increase the charm of life, and spread joy and love in all directions. 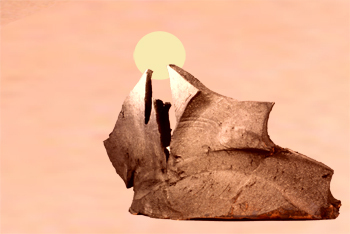 This may appear to be a new Sun rising, but it is not really new; this new Sun is merely taking mankind back to the long-forgotten naturalness and intimacy of electronic communication that was enjoyed throughout the twentieth century, before the dawn of the digital era.